Tartar sauce and cocktail sauce are tried-and-true, but so many other things are delicious with crab cakes. 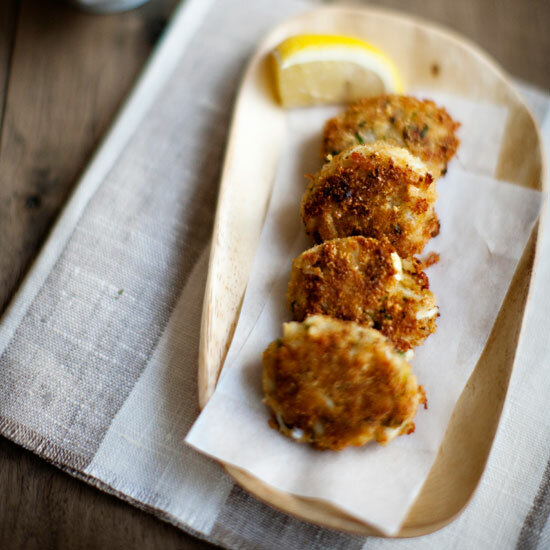 Be like Andrew Zimmern and serve cold crab cakes with Russian dressing and tomato. Make a punchy combo of sour cream, mayonnaise and horseradish. It’s just as good with crab cakes as it is with roast beef. How do you make crab cakes even more summery? Serve them over a pool of gazpacho. 4. On a po’ boy. Mash up two great regional foods—Maryland crab cakes and a New Orleans-style sandwich—by piling the cakes on hoagie rolls with lettuce, tomato and lemon aioli. Make a silky, sweet pureed corn soup and serve crispy crab cakes on top. Make oversized cakes to serve on brioche bread or buns with spicy mayo and kimchi. Upgrade any salad with a crab cake, like this lovely apple salad from Seattle chef Jason Franey. Asian- or Caribbean-spiced cakes are especially good with a fruity sauce, like this one from Ming Tsai.